Prosciutto e Melone. This common Tuscan appetizer (which is also an appetizer seen in many other parts of Italy), is in fact an Italian staple in the appetizer category. Mostly served with slices of cantaloupe topped with slices of prosciutto, some restaurants have their own version, like the one in the picture with small cantaloupe balls resting on slices of prosciutto. Slices of cheese with honey is also a common appetizer in Tuscany. Sometimes restaurants serve cheese with jam as well, and this dish is not only common as an appetizer, but can also be served in place of dessert at the conclusion of dinner. An appetizer I’ve seen the most in Tuscany is called Bruschetta al Fegatino, which is a type of bruschetta with a liver paste topping. This is an extremely common Tuscan appetizer. 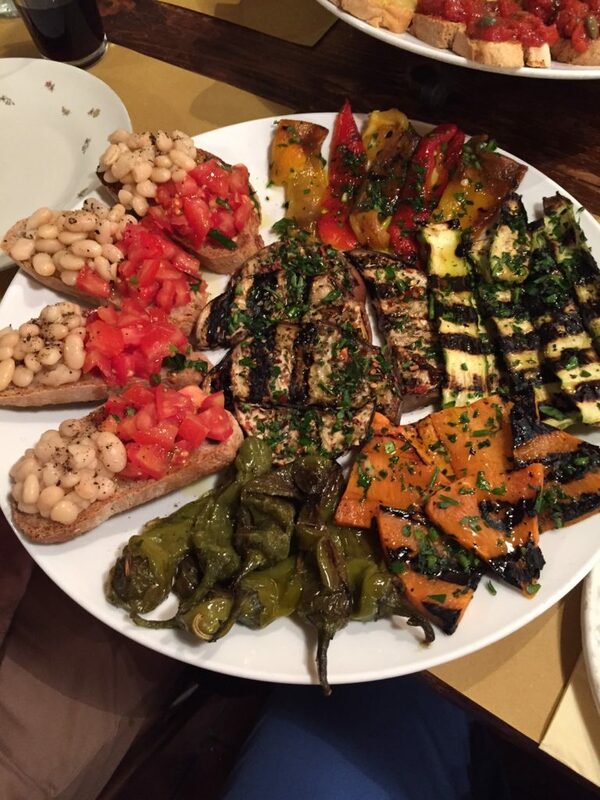 Of course other types of bruschetta are offered in Tuscany, including the classic Bruschetta al Pomodoro (Bruschetta with Tomatoes), and Bruschetta con Fagioli (Bruschetta with beans). Salame e Ficchi (salami with figs) is another Tuscan appetizer, popular in the summer when the figs are fresh. Panzanella, which is served as a side dish or even a first course, is sometimes served as an appetizer, as shown in the photo above. It is a typical Tuscan salad of bread and tomatoes that is popular in the summer, and also sometimes includes basil and olive oil. Coccoli, Prosciutto e Stracchino is another classic Tuscan appetizer, consisting of a type of fried bread, served with prosciutto and cheese. Verdure Grigliate is also common, which is basically a selection of grilled vegetables, including eggplant, peppers, and zucchini. 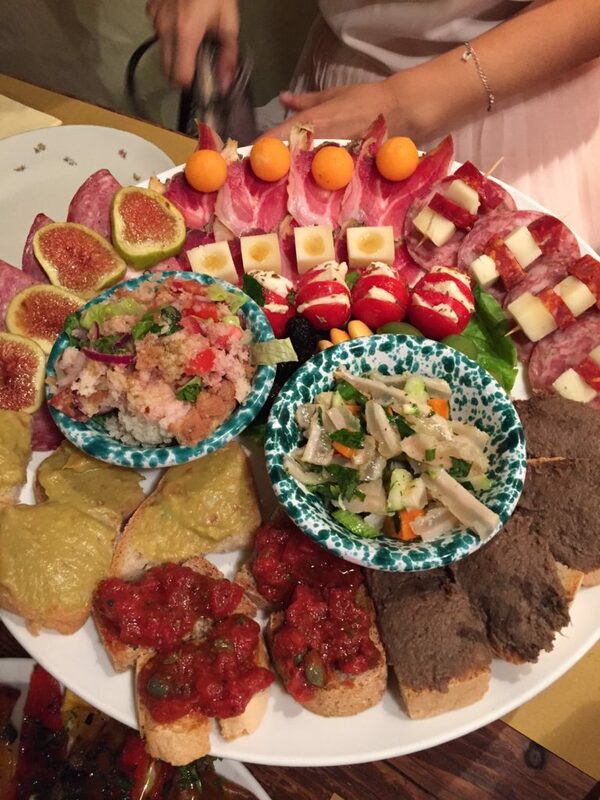 This list is not exhaustive, but accounts for many of the more common appetizers served in Tuscany.